London’s Laura Moody doesn’t just sing, she howls, she emotes, she enunciates; she doesn’t just play, she strikes her cello with her bow as she punctuates each full stop. 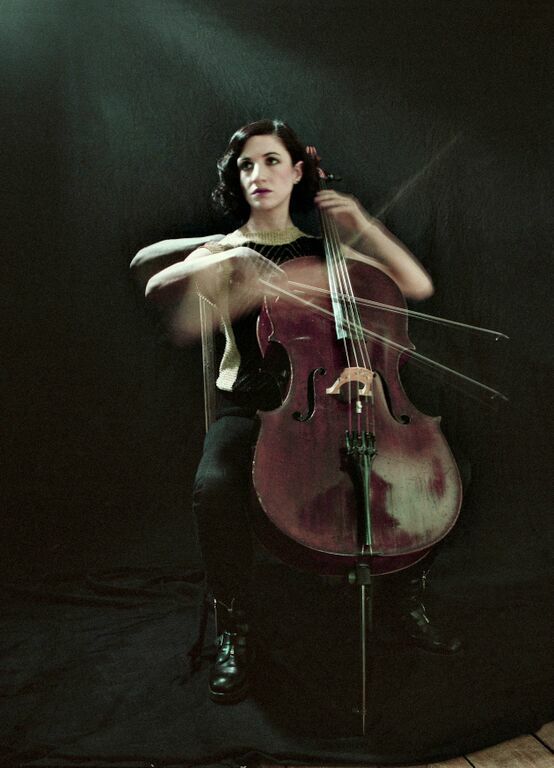 Each one of her compositions is driven by her brutal cello wielding and eccentric delivery. With onomatopoeic stutters and gasps, cello string plucks and a section of yodelling to her gallery, Laura weaves vivid, literate stories, her music a brewing storm possessing elements of Italian opera, avant-garde, classical and neo-folk but sounds like none of these, really. Her songs hover like dark foreboding clouds above the head, creating unbearable – and at times uncomfortable – tension before unleashing theatrical expulsions like showers of rain. You could reference the melodrama of Kate Bush or the eccentricity and instrumentalism of Joanna Newsome, but to use such crude comparisons is to divest just how unique her performances truly are. Laura Moody ‘Turn Away’ from MCR Scenewipe on Vimeo.